1) My hands are the first to show consequences of cold winter weather. They get really dry, so I always carry a tube of hand cream in my bag. There are a few good ones on the market, but my absolute favourite is Soap & Glory’s Hand Food. It does the job, smells super girly, and doesn’t leave that annoying thick feeling on your hands after you use it, because it sinks in instantly. Unfortuantelly we can’t get it in my country, so whenever I go to London, I always buy enough tubes to last me for at least a year. 2) I discovered the beauty and practicality of circle scarves two years ago and ever since then, we have been best friends. Last year I was wearing a black one (probably too much, since it almost fell apart at the end of the season), and this year I’m smitten with the burgundy scarf that is really similar to this one from Peter Hahn. As soon as the temperatures dropped below 15°C, it became one with my neck every time I leave my house. I can do without gloves and hats unless it’s really freezing, but I can’t live without my scarf. 3) My hands are not the only ones suffering during the winter. My face is too. Well, to be totally honest, I have trouble with dry skin all year round, but especially during the cold time of the year. I’m constantly trying out new face creams for dry skin and so far, this La Roche Posay one has performed the best. I just ran out of it, so I need to go get a new one. Unless you have any other suggestions for me? 4) Another fashion winter essential for me are UGG-style boots. Some people love em’, some people hate em’. I belong to the first category. I’m not gonna lie, I hated the look of these when they first became popular, but I think that was because I mostly saw them in photos of celebrities, who wore them during warmer months combined with jeans shorts. I still don’t understand that phenomenon. Having said that, my opinion changed as soon as I tried them on myself when I was visiting Australia, which is where these shoes originate from. Let me just say that those people who are judgmental towards these shoes, definitely haven’t had them on their feet yet. I feel like I’m walking on clouds when I wear them! Not to mention they are SUPER warm. They saved my toes from freezing countless of times. I have them in that exact dark brown colour, which I think is the prettiest. The shoes you can see above are actually from the company called Emu. Unlike UGG boots most people know and wear, these are actually made in Australia, have proper insoles and are apparently even waterproof. I now know which ones to get when mine fall apart. I’m predicting they will only last me one more season. Well, at least I can say I got a lot of wear out of them! 5) And we’re back to dry skin problems. Of course, chapped lips also make regular appearances throughout winter. I’m good with any lip balm during most part of the year, but once my lips get chapped, there are only a few lip balms I can count on out there. One of them is this honey lip balm from Avon. 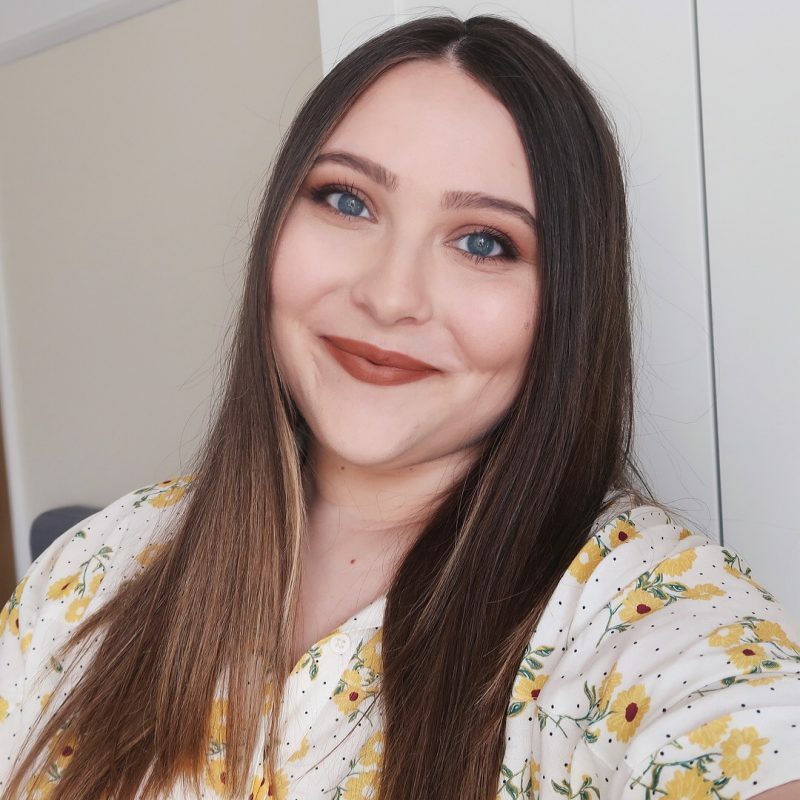 Unfortunatelly, I used it up recently and since it’s nowhere to be found anymore, I’ll have to find a new dry lips saviour. Which one is your fave? So, these are my main winter essentials. I would love to know what yours are, so make sure you tell me about them in the comments below. Soap & Glory kremo za roke velikokrat gledam v Bootsu, ampak se nekak še nisem odločila za njo. Po tvoji oceni pa vidim, da bi jo morala definitivno že zdavnaj kupiti :)Si mogoče poskusila še kakšen drug izdelek Soap & Glory? I'm becoming a bit of a candle obsessive and I'm burning them in the middle of summer here … I'm sure I'll enjoy them even more in winter! I absolutely adore circle scarves as well. And while I've never owned a pair of genuine UGG boots, I've heard they are like walking in clouds a few times from different people which makes them worth it in my opinion! 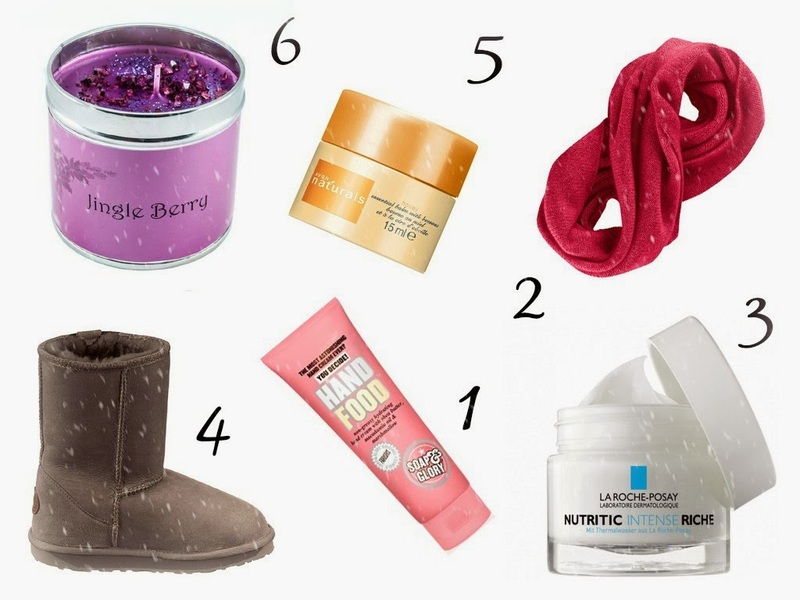 UGGs, circle scarves and a good hand cream are my winter essentials too! Haven't tried this La Roche Posay, but I bought another one recently – Cicaplast Baume B5, which is apparently also good for dry skin and can be used everywhere (chapped lips, elbows, hands, body etc). I recommend it, if you ever want to try another product from this brand! Ja tudi jaz sem slišala veliko čudnega o teh kao originalnih uggicah, ki jih na primer tudi pri nas prodajajo. Te so v resnici narejene na Kitajskem in tam vemo kako stvari delujejo… Jaz sem in bom vedno kupila samo tiste, ki jih delajo v Avstraliji – znamka Emu, Clobber Australia ipd.